Anyway. I got a magic bullet a couple of months ago when I actually had money, and I use it in most of the cooking I do that isn’t toast, two minute noodles or microwave lasagna. 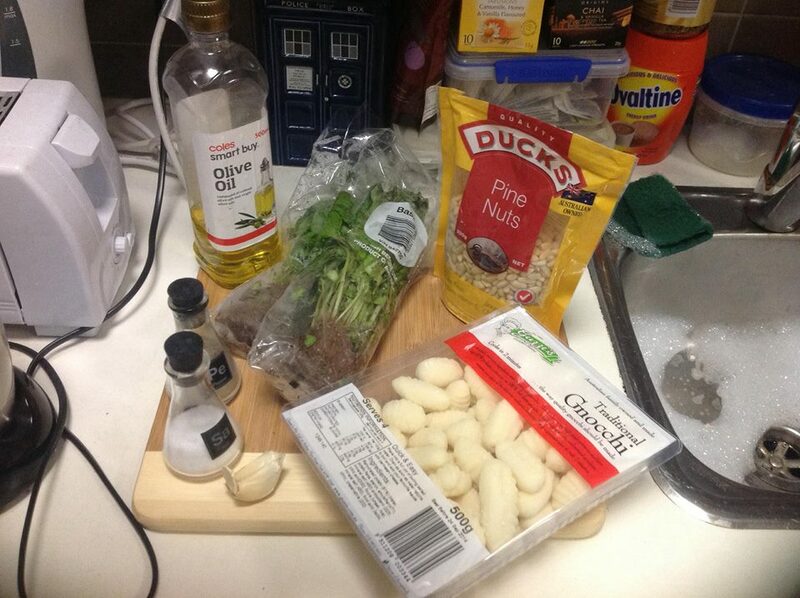 So; if you are lazy like me, then this Pesto sauce is probably a recipe for you. I first wanted to make my own pesto when I realised how much I was paying for ordering pesto online, and realised I could make my own for about 1/10th of the price (and mine tastes better than the one I’d usually order online). So I went on google, looked up the recipe, it is very simple. And now I just make it intuitively. 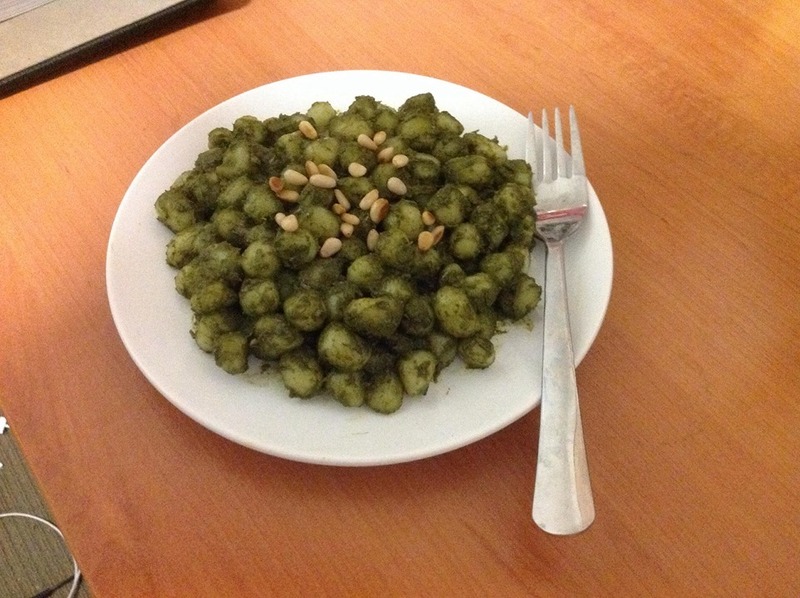 ~75-100g of Pine Nuts (I would recommend you search around. The brand I got was a more expensive one as the supermarket I went to doesn’t supply cheap brands. But you can get pine nuts for a cheap price if you are willing to look around 2-3 places). 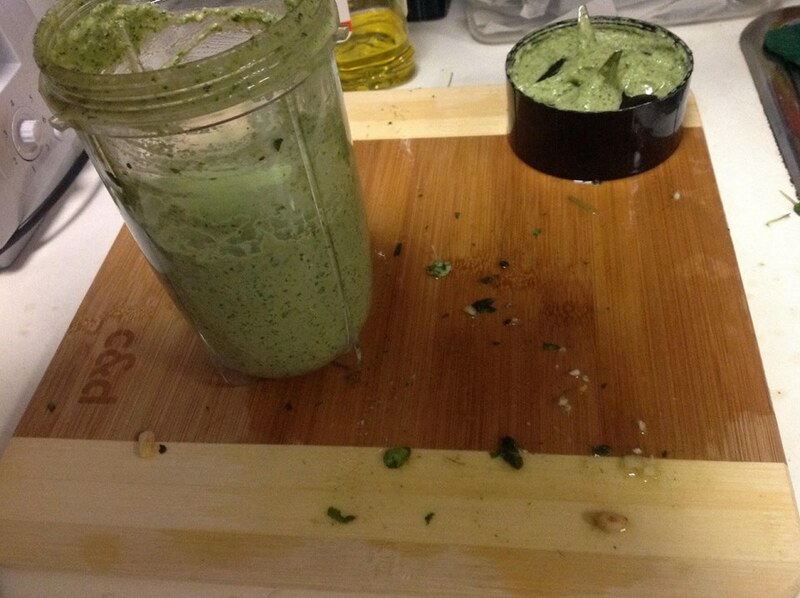 Olive Oil – One bottle of olive oil like that will last you a lot of pesto makings. 2 Cloves of Garlic – When I first made the pesto I thought “ONLY 2 CLOVES I WON’T BE ABLE TO TASTE IT! !” so I put in like 6 cloves, and I had garlic breath for the next couple of days. Aaaand if you want to make it with Gnocchi, then I recommend the Gnocchi too. But otherwise, anything else is fine. Olive Oil, Garlic, Salt and Pepper – I’m going to guess about 70 cents, if that. So you get $8 of cost. But, then you factor in you can get like 4-5 servings from this sauce. SO. So, the first thing I do is I pull the leaves off of the basil, (after rinsing them with water, just to be safe!) and then I crush the garlic cloves, I add some salt and pepper, and some olive oil! All into the magic bullet container. Easy! Now, pesto recipes ask for roasted pine nuts. But, I don’t have an oven in my kitchen *shakes fist*. BUT, what I do is I just put the pine nuts in a pan, on a stovetop, and then I put on a high heat until they start to brown on the outsides. It’s an alternative that I use. I’ve found it works. And you will notice on the bottom right of the picture that a basil leaf fell off of my hand and onto the kitchen counter. 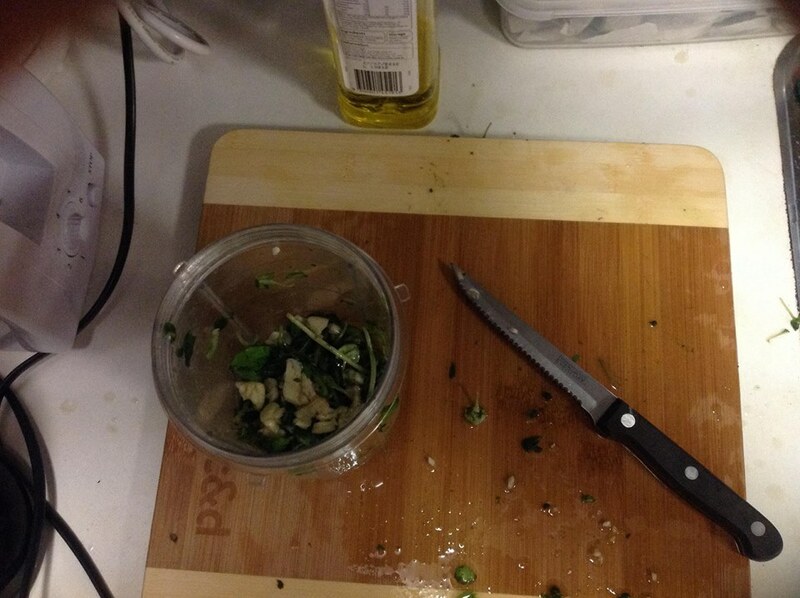 Basil leaves (especially when moistened) are quite evil and have attachment issues and will tend to do this. Then the appearance of them in your kitchen just keeps coming back, like herpes. SO, ANYWAY! 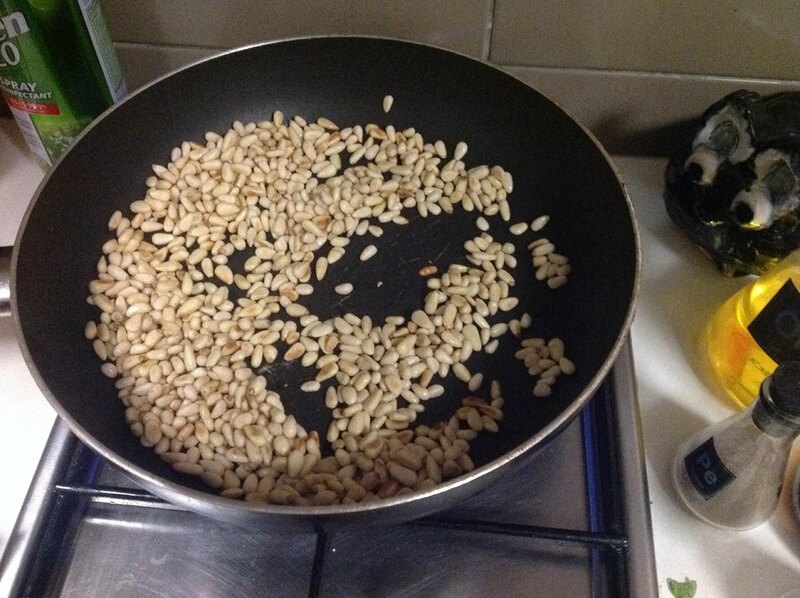 Now you have roasted your pine nuts. You place them into your magic bullet container with the other ingredients. Being the fat leviathan I am, I add a bit more olive oil (and salt, because what’s the point of cooking food if your arteries aren’t clogged and you’re not dehydrated). Then, you screw on your blade, and you blend it all together! For the full effect, I recommend you play this soothing elevator music for 10 seconds. So there you have it, so far you have made your pesto sauce. The one I made last night wasn’t as green as I normally end up having it. 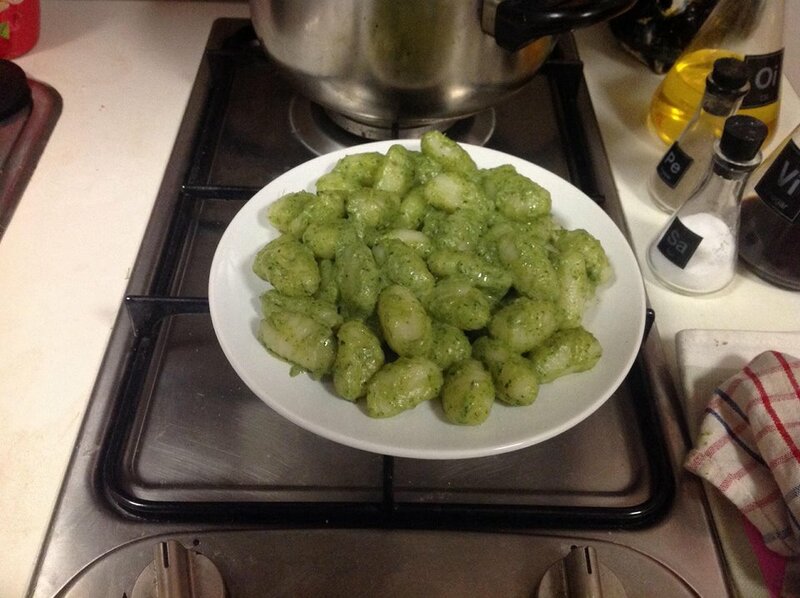 In the past, I have made pesto sauces that look more green. And that’s when you know it is time to strain your gnocchi, then mix your pesto sauce through it!!! As with most cooking shows, I will not actually show you the finished product and show you a better looking one I made beforehand. But no, just kidding! This is what it turned out like this time! But, in all seriousness, it is quite a simple recipe, and not too expensive (A little pesto sauce spreads a long way). To enhance the flavour, drizzle some oil (and if you’re me, place a bit more salt onto it). I hope your enjoyed reading it. And this is just one reason why I love my magic bullet. Linguistics and Asian Studies Student. 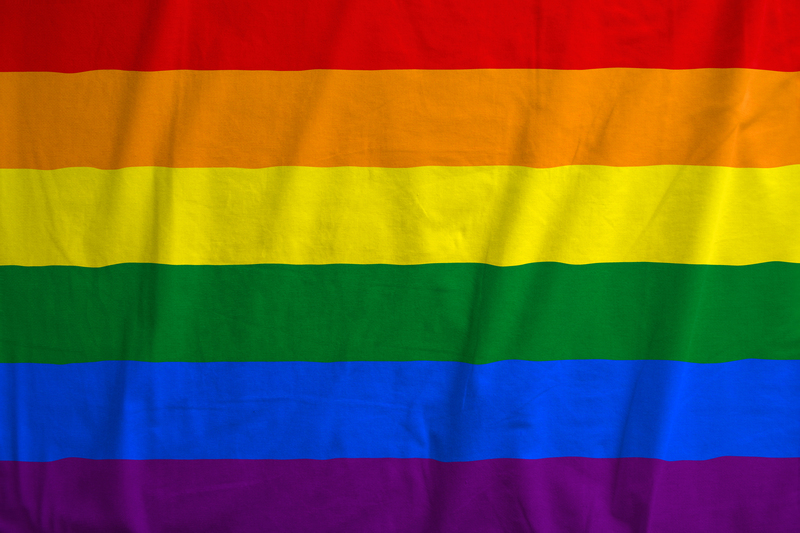 Homosexual. Writer. Artist. Geek. INFJ. Dreamer. Lectures: One Size Fits All? So You Want to Start Learning a Language? 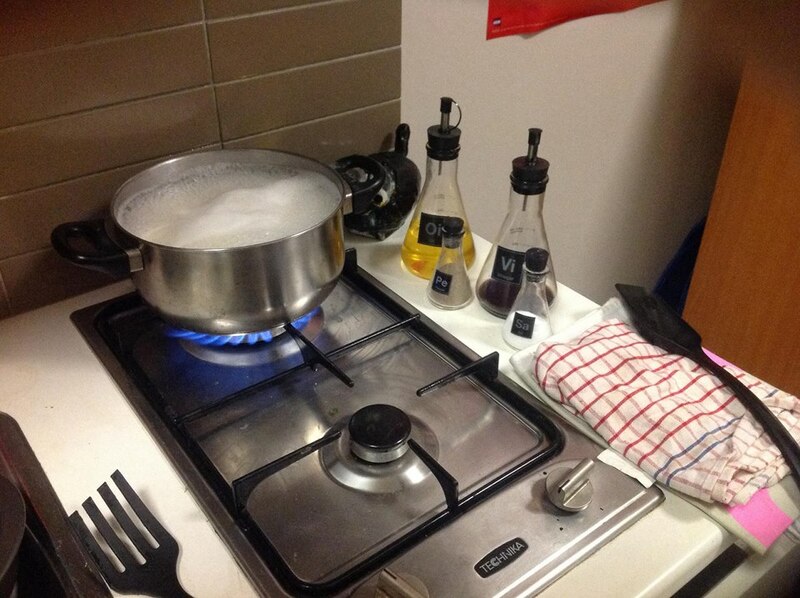 Go to university, they said. It’s the best time of your life, they said.